After getting the Achilles Low in Blush, I was converted on the beauty and simplicity of these sneakers. 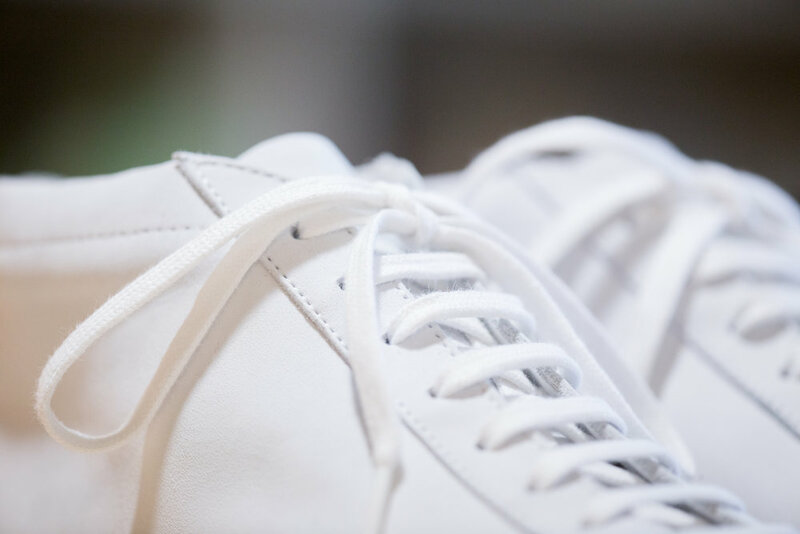 While the rest of the industry is trying to differentiate their brand with gimmicky designs and tacky details, Common Projects has found perfection in the classics done right. This time around, I decided to give their mid-height variation a try because I love the way is sweeps into the shallow toe. It also helps to make the sole seem visually thinner. Additionally, I was interested in their nubuck with hopes that it would take some of the shine away and give off a healthy matte finish. It is absolutely beautiful. I'm very happy with both the white and black versions that I got. On a more practical note, I'd recommend sizing down with the Achilles Mid (and optionally, also the Low) in comparison to the Chelsea Boots. Unlike every other brand, the boots fit tighter than the sneakers. Very unusual. You can get away with the same size in all, BUT I would highly recommend sizing down one full with the Achilles.